Full length ballets are expensive endeavors. Casting fees and ticket sales only cover a small portion of the costs involved with these productions. Find out how you can support our current production! To help defray the costs of staging a ballet, Pas de Deux Dance Studio sells ads in the production's program. All family-friendly businesses are invited to advertise for a cost of $50 for each ad placed (2" x 3" or 3" x 2"). To inquire about placing an ad, please contact the studio. 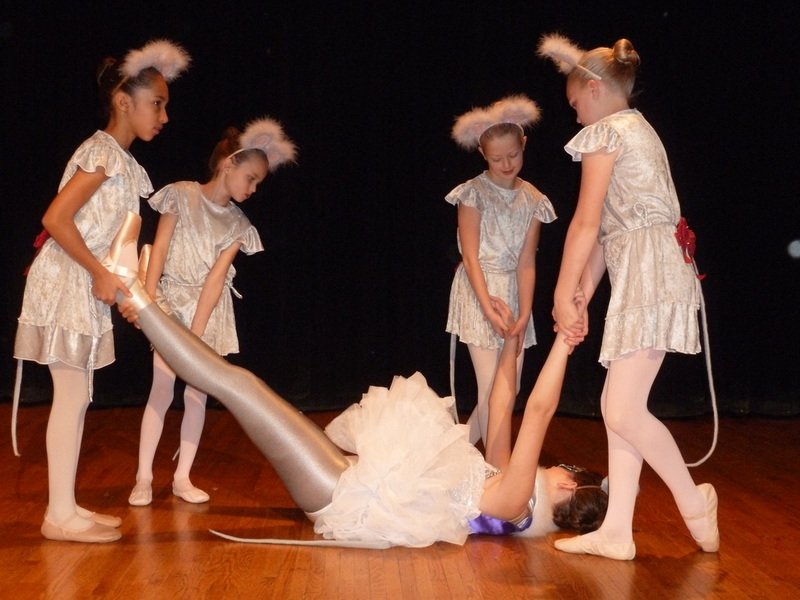 Each year, Pas the Deux Dance Studio holds a "Nutcracker Sale" to help benefit the upcoming Winter Ballet production. The sale is comprised of gently used and specially created dance items that have been donated to the studio. The money raised helps to offset the cost of sets, props and costumes. The studio accepts donations year-round for the next sale. Ideas include: leotards, tights, dance bags, dance sweaters, leg warmers, past recital costumes, ballet shoes, pointe shoe padding, scrunchies, jewelry, CDs, DVDs, videotapes, books, blankets, pillows, dolls, and stuffed animals - anything dance related! If you have items you would like to donate, please contact the studio for our current hours to drop them off. The studio holds the sale during its Registration and Open House Day in August. there are jobs available for anyone looking to gain experience in working on a theatrical production. We also have volunteer positions available for those looking to gain experience with the creation, preparation and repair of costumes, sets and props. You may volunteer for as little as 1-2 hours, or on an on-going basis for the production. Are you a student who needs community service hours for a school or religious class, high school graduation requirement or other activity? Ask your teacher or leader if volunteering will satisfy those goals! The studio will sign off on any completed hours of volunteer work.